The last four months have been a whirlwind for us, which is always a good thing! We have begun to build our brand, clientele, reputation, and most importantly, our portfolio. 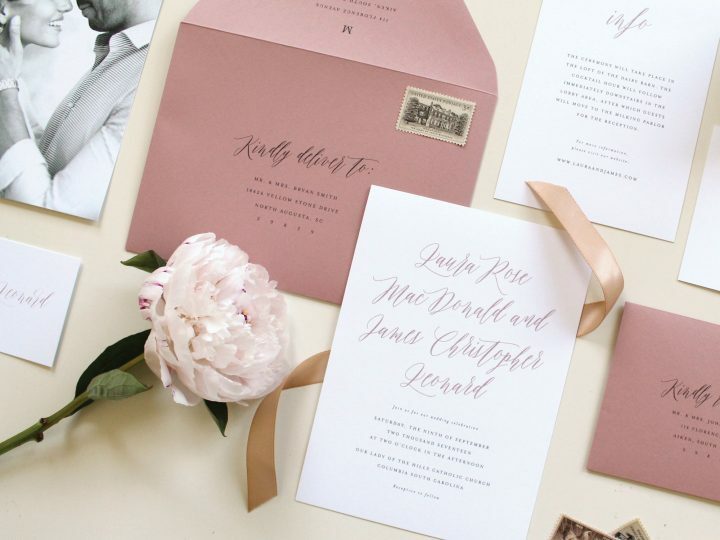 We’ve been busy from the start creating wedding stationery designs that are not only trendy and popular right now, but also timeless. 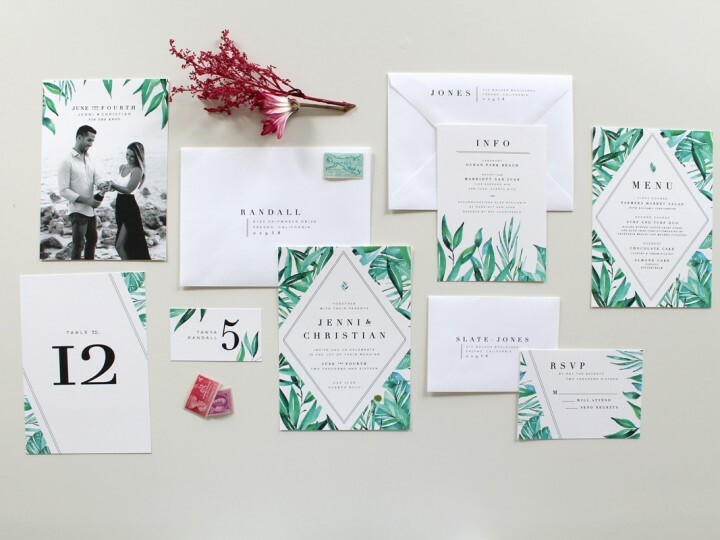 We’ve seen a number of modern weddings and coordinating stationery designs that are classic and simple, but the most popular design theme we’ve noticed that is overwhelming the industry is watercolor. 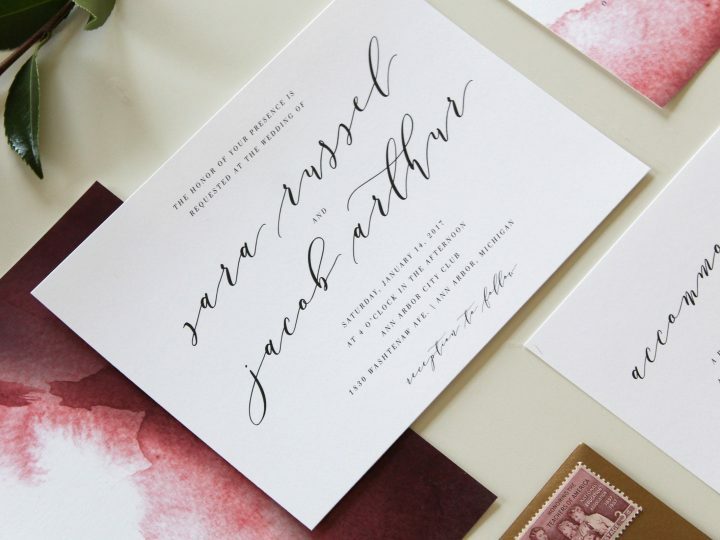 From wedding stationery to home décor and artwork of all forms, watercolor is everywhere… and it doesn’t seem to be going away anytime soon. Watercolor flowers, watercolor stripes, abstract watercolor artwork, watercolor tattoos. 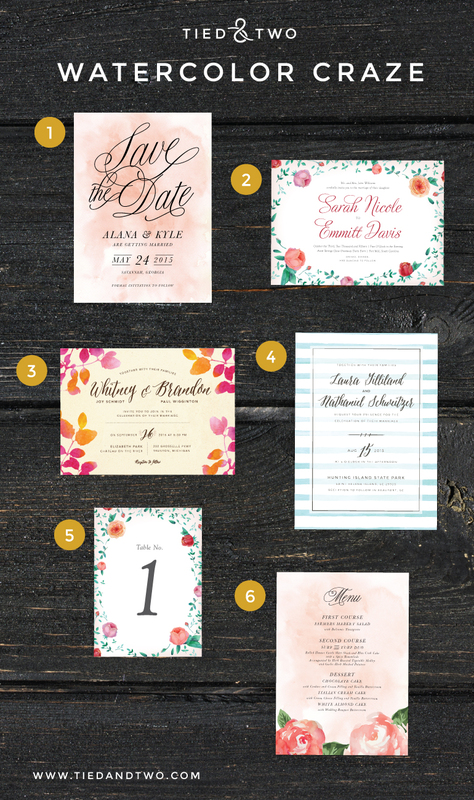 Our best-selling design is our floral watercolor collection, which includes an elegant save-the-date with a soft pink background, an invitation suite that features a floral accent, and coordinating thank you cards, table numbers, place cards, menus, and even “Will you be my bridesmaid?” cards, all available through our Etsy Shop. 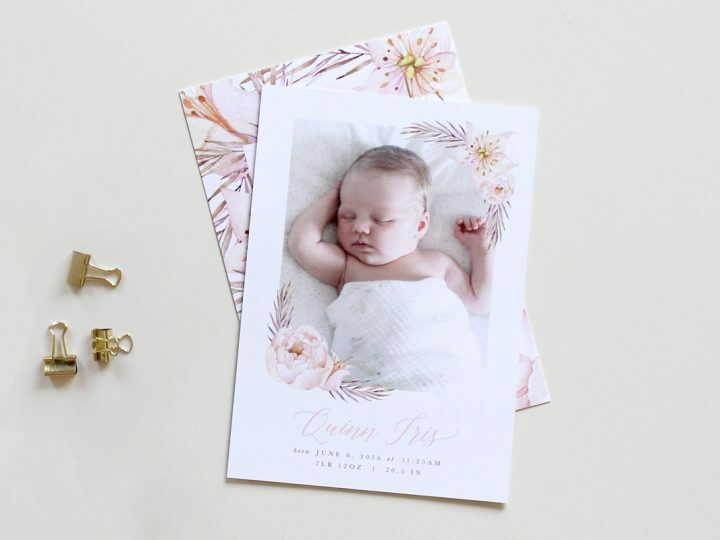 Because of the overwhelming interest in floral and watercolor invitations, we expanded on the soft, feminine feel and now offer a number of watercolor suites.